Rushing to the finish – and a new site! In an inhospitable environment (such as deep beneath the sea floor), you can surprisingly run into organisms that thrive in such conditions. These “extremophiles” live in such harsh surroundings that they are without competition from other organisms; their niche is secure. Recently, Expedition 352 scientists discovered evidence of such organisms living in volcanic glass recovered from several hundred meters below the sea floor. 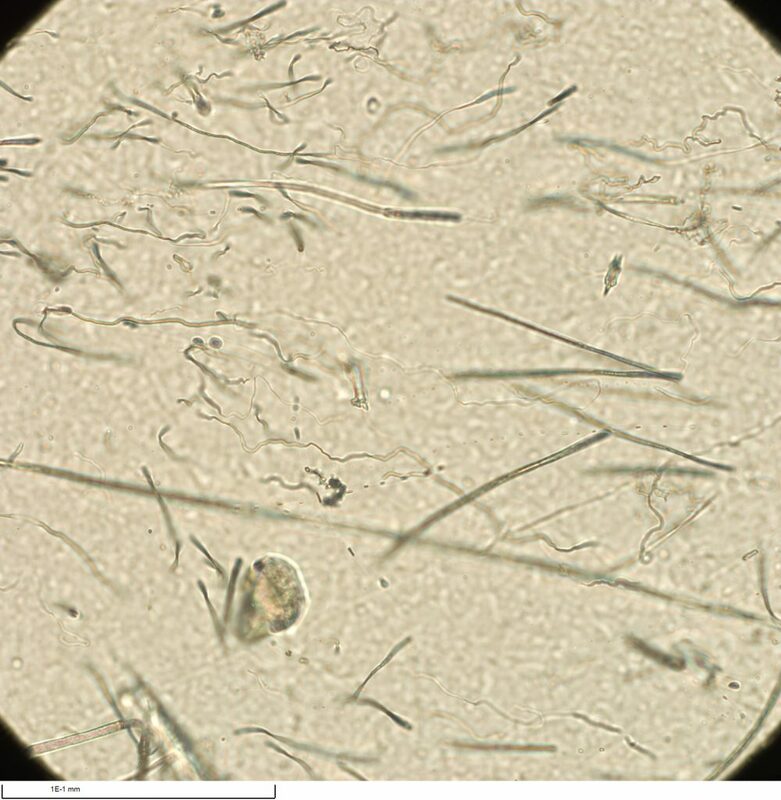 A thin section sample of rock revealed hollow burrow-like tubes belonging to volcanic-glass-eating bacteria. This thin section is about one third the thickness of a piece of paper, but thick enough to show three dimensions, despite the miniscule track size. The curvy and straight tunnels carved out of the glass by these bacteria go off in different directions and sometimes straight “up” and out of the thin section. These organisms digest the glass and use the iron as a source of energy. According to petrologist John Shervais we don’t know from these tracks alone whether the bacteria that made them were alive recently or millions of years ago. These types of organisms thrive even today, but scientists have not caught them in the act of consuming the volcanic glass.